If you’re ever in Bali then you need to make your way to Ubud. 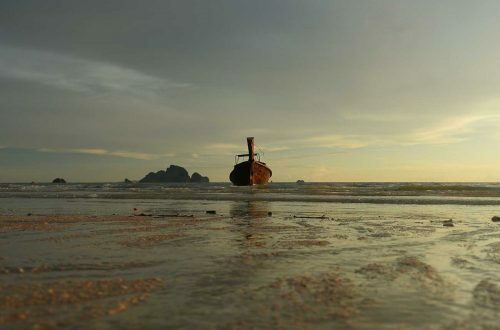 Bali typically makes people think of beaches. Ubud doesn’t have a beach, but it’s got a lot more! 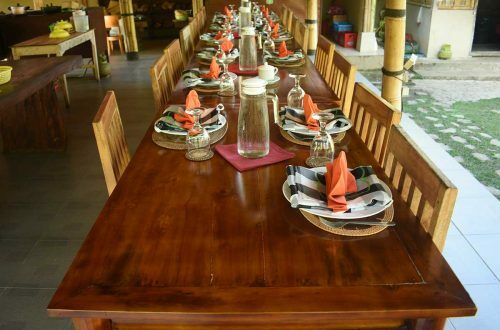 Besides the Ubud Monkey Forest and a variety of cooking classes, the selection of restaurants is endless. With so many options it may be daunting to try and figure out the best place to eat. 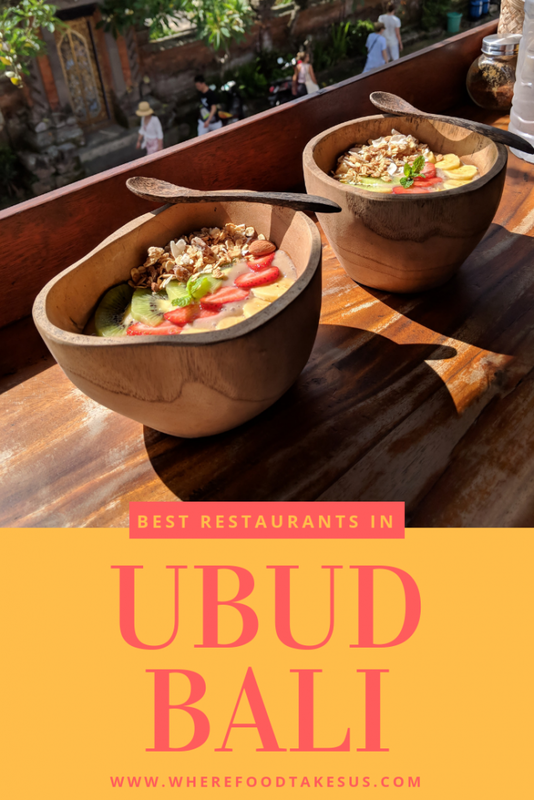 We’re here to help you find the best Ubud restaurants for your trip! Balinese food is an amazing cuisine. They offer up some tasty dishes like nasi goreng (stir-fried rice) and mie goreng (stir-fried noodles) and they can be found at almost any restaurant, warung (family-owned restaurant) and cafe. 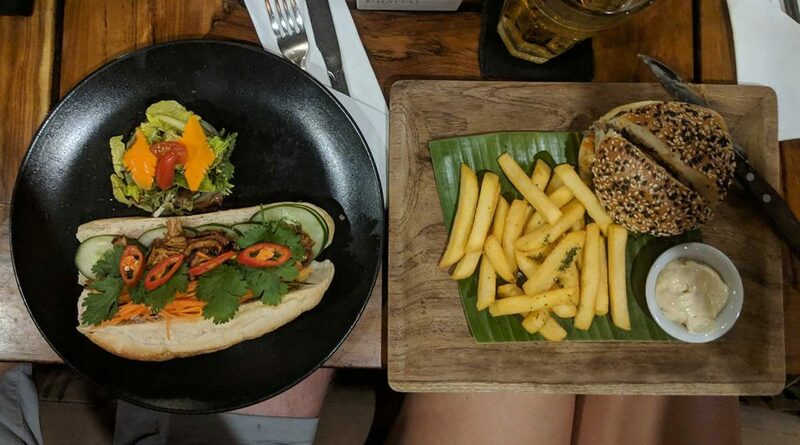 You can never go wrong with either of these dishes but Ubud offers up so much more! 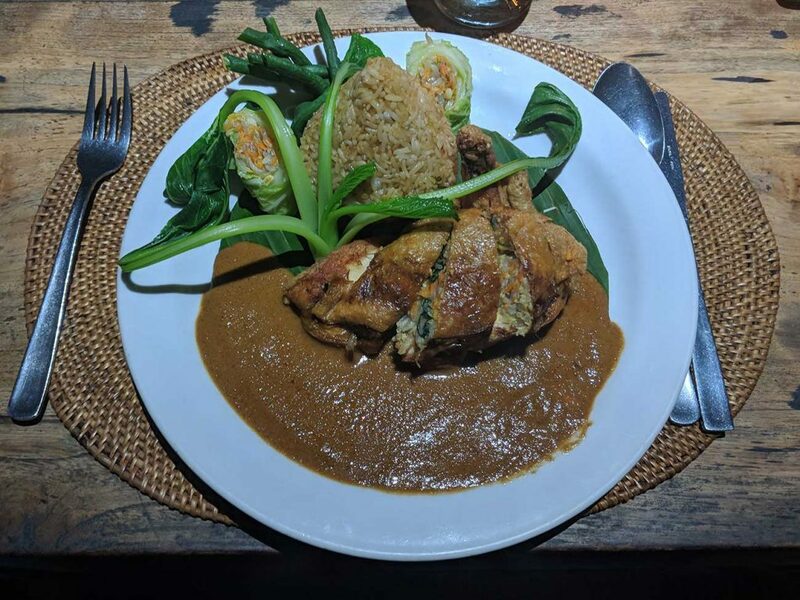 In addition to the delicious Balinese food they offer, Laka Leke’s real charm comes from the setting. 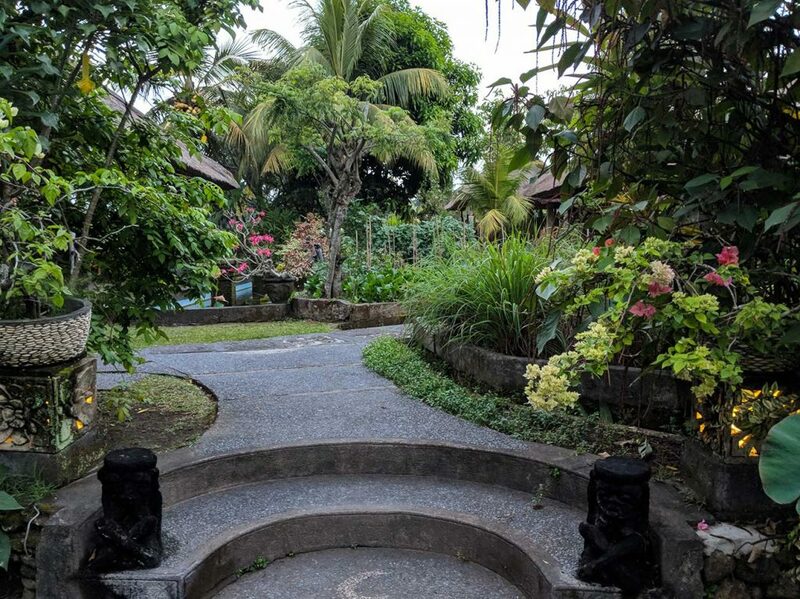 Almost adjacent to the Ubud Monkey Forest, you’re seated in a large garden, bursting with flowers and flowing fountains. And then there’s the view. While you devour the savory dishes you can feast your eyes on the lush green rice fields in the distance. This restaurant provides a great romantic meal or a just a great relaxed night out. 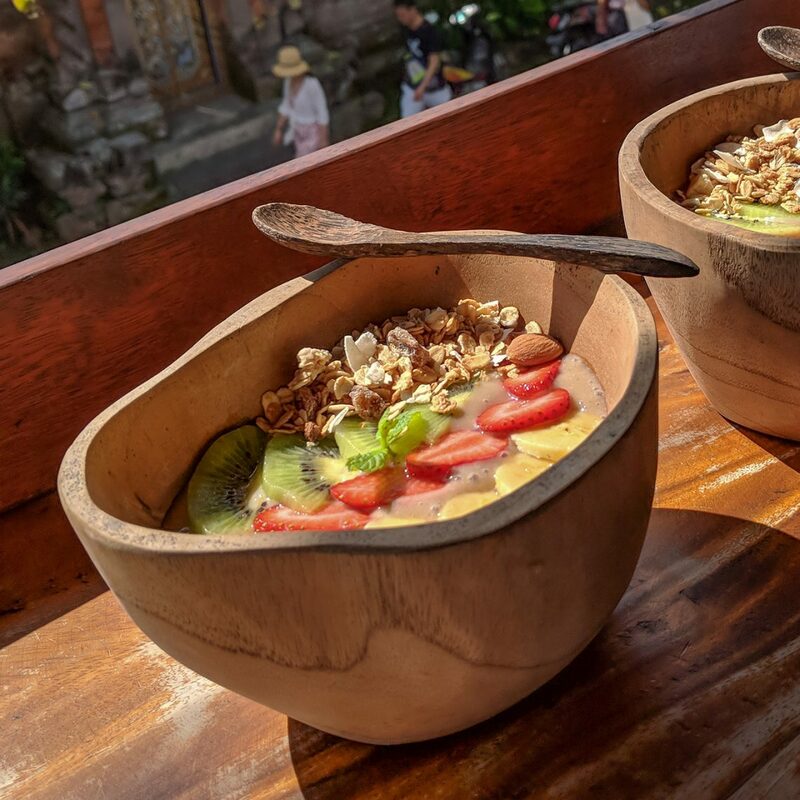 While they offer heartier meals, both Balinese and western style, we fell in love with their smoothie bowls. Pundi Pundi is one of the best spots to hang out and sip some siphon-brewed coffee while enjoying a delicious snack. 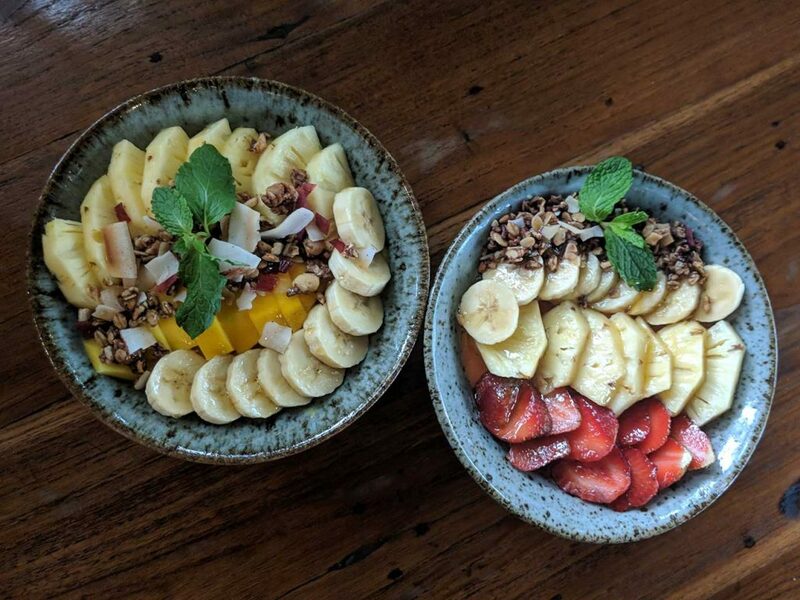 Smoothie bowls! We were unaware of their existence until Bali. What sad lives we used to live. Smoothie bowls are healthy AND delicious. Your body will thank you. 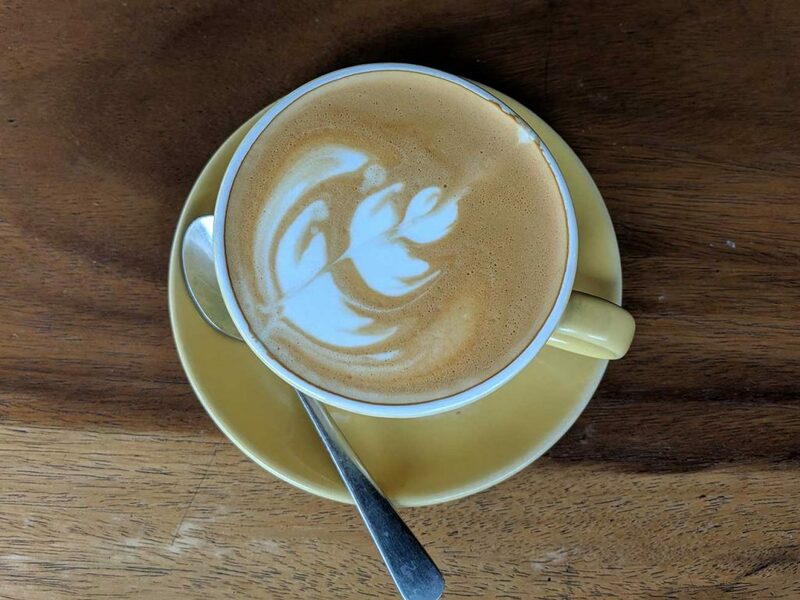 Anuman Coffee is synonymous with “chill”. Want a nice breeze, cool view overlooking the street, and cafe lattes for $1? We did. This gem of a cafe is hidden up some narrow stairs and doesn’t have a lot of seating. But it was never crowded and we spent several afternoons here to just relax and enjoy. There’s also an extensive menu with breakfast and lunch options. The free WiFi allowed us to figure out our next plans, like the Ubud Art Market just a few minutes’ walk away! Stationed across the street from the Ubud Monkey Forest, Habitat Cafe is highly recommended! They serve western food as well as Balinese food and it doesn’t disappoint. There’s a service charge added on, but don’t let that deter you. Drink some really cool smoothies, cheap beer, and chow down on a burger or a Balinese favorite, all while watching some monkeys. We hadn’t had Mexican food in a long time. It’s hard to go without that cheesy queso and chips and margaritas for very long. 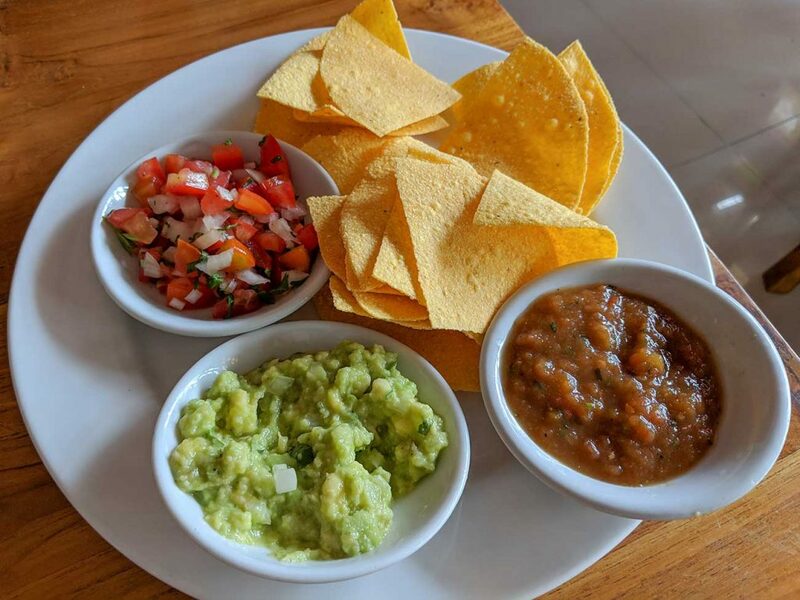 While Taco Casa doesn’t offer the good queso we have back in the states, it’s still an awesome Mexican joint that helped satisfy our Mexican munchies. The guacamole was especially good. If you’re missing that Mexican food from back home, be sure to eat here! Are these all your choices for Ubud restaurants? Not even close! We didn’t mention everywhere we ate, just some of our favorites. Tired of Balinese warungs? There are so many western options, like Italian. Try Black Beach Italian! A cool restaurant with a cool story behind it and we loved it! If you’re not tired of Balinese warungs (we never were!) then you’ll find warung after warung after warung. Just keep walking, their menus are on display for you. In Ubud, your dining options are practically endless. The best part about all the yummy food? It’s so CHEAP! Have you been to Ubud? Going soon? Let us know about the food! Happy travels!